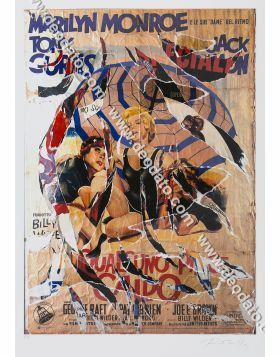 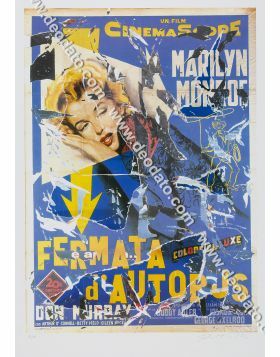 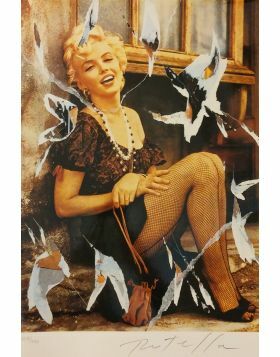 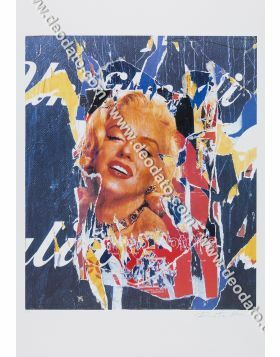 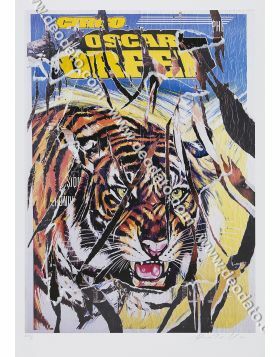 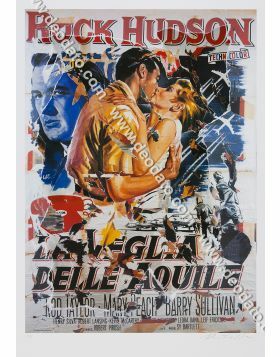 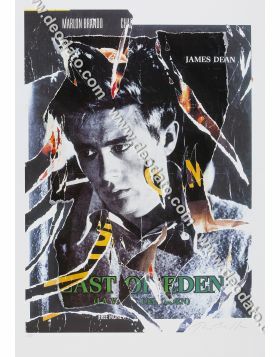 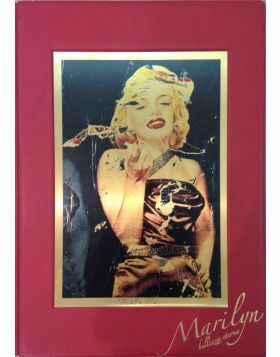 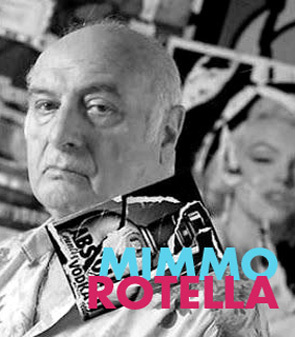 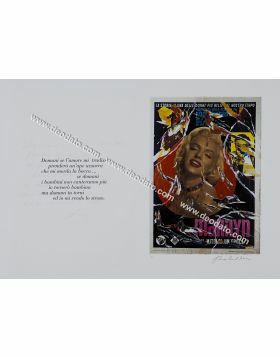 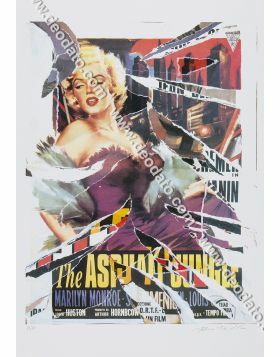 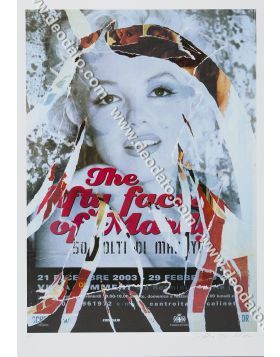 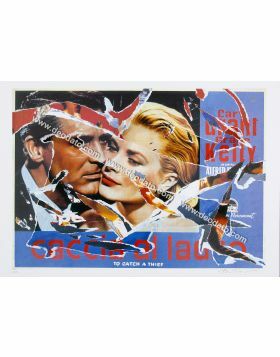 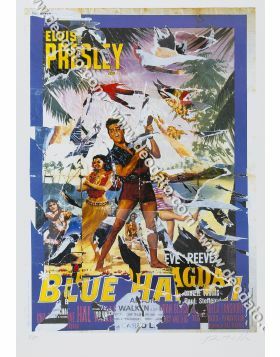 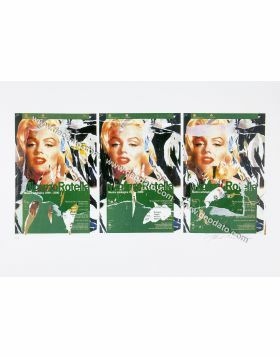 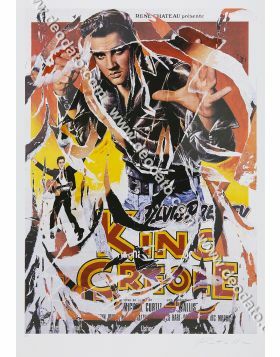 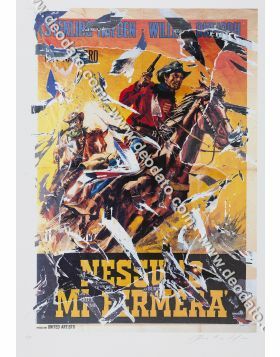 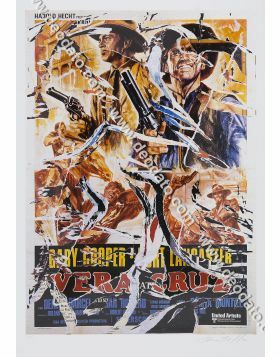 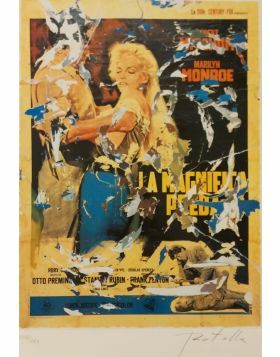 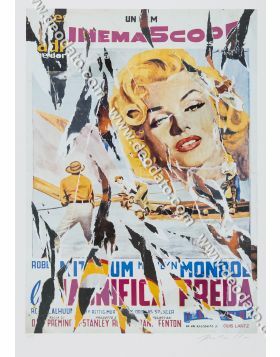 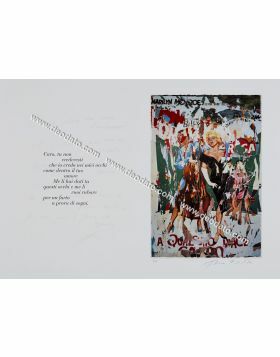 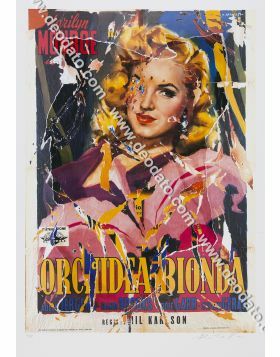 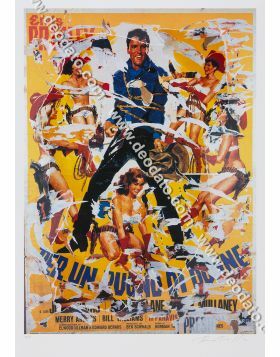 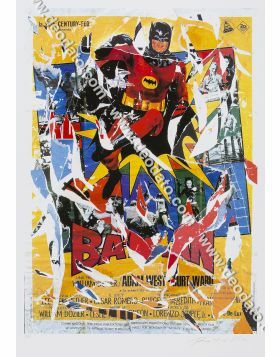 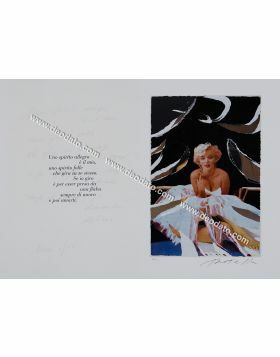 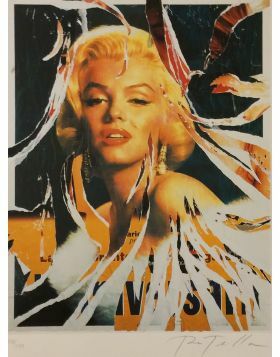 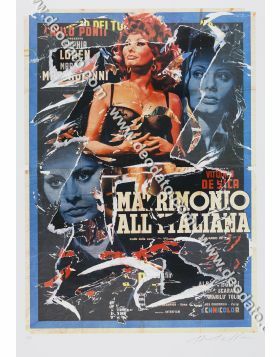 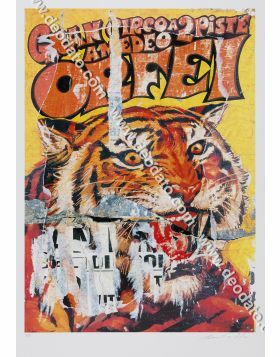 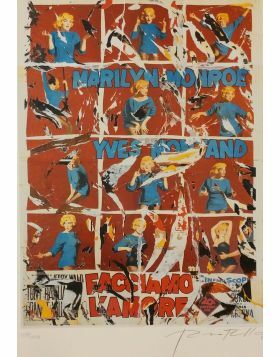 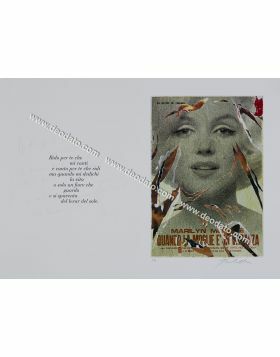 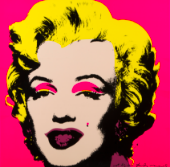 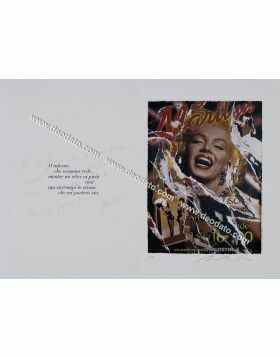 Mimmo Rotella's décollage based on the film poster of River of No Return (1954), directed by Otto Preminger and with a splendid Marilyn Monroe. 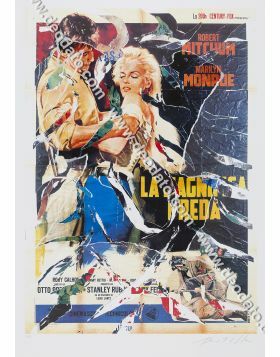 Marilyn didn't love the kind western and, therefore, she detested this film that was forced to turn because forced by her contract. 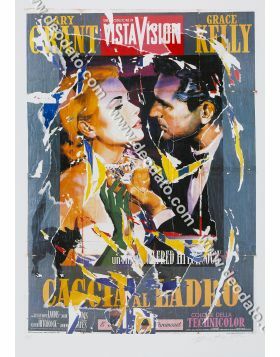 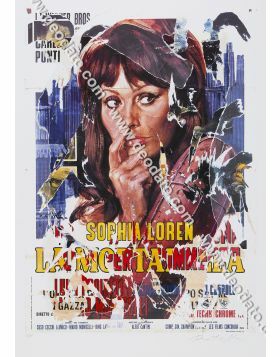 The relationship between the diva and the director was not certain idyllic because of Natasha Lytess, her teacher of recitation that gave her instructions contrary to those of Otto Preminger. 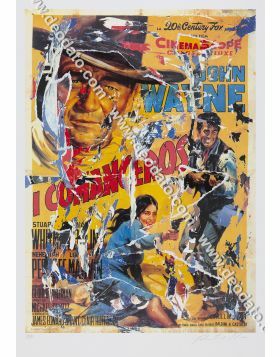 Despite these contrasts, the film was a success.